Boa Vida 1 & 2 are two stunning six-sleeper units, separated only by an adjoining common deck, and located in the Boa Vida Estate which is situated within the Hotel Phaphalati Lodge grounds in the Ponta Malongane area of Southern Mozambique. Boa Vida Estate is only accessible with a 4x4 vehicle.The self-catering units each sleep six guests and comprise two bedrooms, a bathroom with a shower, and a fully equipped kitchen, lounge and a deck with patio furniture. The units are positioned just 100 m from the sea and are built on a sand dune, affording wonderful sea views.Guests staying at Boa Vida Estate may make use of the facilities on offer at Hotel Phaphalati which is located on the estate. These include a swimming pool, restaurant and bar.Many scuba divers and fishermen are attracted to this southern tip of Mozambique which offers a spectacular variety of sea life, from tropical fish to whales, while the inland lakes, forests and wetlands are great playgrounds for bird-watchers, hikers and 4x4 enthusiasts. Beach: Boa Vida 1 & 2 are 100m from the high tide watermark. 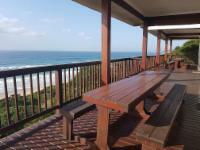 The 180 degree views from the deck are phenomenal, and are enjoyed by our guests. Whales and dolphins can frequently be seen playing in the waves in front of our units. A bit of a drive, but well worth it ! 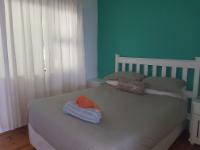 Boa Vida 1 & 2 is 4km from the centre of Ponta Malongane , the nearest airport 100.3km (Maputo International Airport).